Maple Manor Personal Parking is a great value and easy to use Meet and Greet service that can help make sure your holiday goes without a hitch. 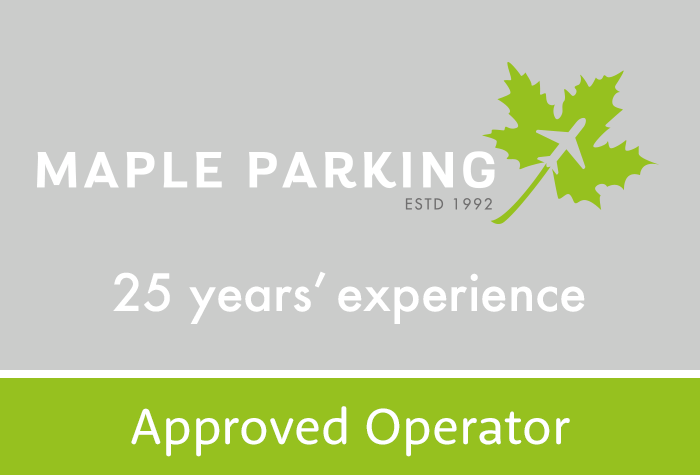 Maple Parking Meet and Greet is rated, on average, 4 out of 5 by 646 Airparks customers. You can find the full reviews on our Maple Manor Personal Parking reviews page. There's no need for you to worry about finding a space or transferring to the airport, everything is taken care of for you. To check live pricing and availability enter your required dates at the top of the page and when you're ready to arrange parking at Maple Manor Premium Gatwick (North), you can do so through our easy online booking. You can see our full range of parking on our Gatwick Parking page. Drive to the Short Stay car park at your terminal where you'll be met by a uniformed Maple Manor driver who will take your keys and park your car for you. The joy of meet and greet services is that you're already outside the terminal so there's no need for any transfers; just stroll into departures and get on with your holiday! When you arrive back in the UK and have cleared customs call Maple Manor and let them know so that they can bring your car round for you. Please note: There will be a supplemental charge of £2.50 for any pick-ups or drop-offs between midnight and 06:30AM.